“’Love’ hago sip so (I desire love).” This was one of the many lines that can be found at a chat room on a Korean portal site where the viewers of Mr. Sunshine, a popular drama on tvN channel on August 19. The room quickly filled up with replies with old Korean expressions such as “Nado geureo hao (Same here),” “Ebeon saeng eun gleosso (Not a chance in this life).” Small chit-chats followed even during the drama was being aired. The content of replies varied, but they used the “hao” style at the end of each sentence. The viewer ratings of Mr. Sunshine surpassed the mark of 15 percent, according to Nielson Korea on August 19. The average viewing rate of those aged between 20 and 49, which are considered as the most critical viewers population, stood at 9.3 percent, beating all competitors with the same time slot. Popular dramas are naturally followed by a great scale of fan base. But there is something peculiar about the avid viewers of Mr. Sunshine. Set against the era of the Korean Empire, the show is fueling the popularity of retro style outfits and accessories. An increasing number of consumers are looking for “the enlightenment period look.” On-line shopping malls and rental shops of traditional Korean clothes are promoting their products on social media, hashtagging the name and the style of Go Ae-shin, the female lead of the show, which is played by Kim Tae-ri. In many Internet communities, people leave comments to identify the brand of hairbands worn by Kudohina, a Japanese character in the show played by Kim Min-jung. Those items were all shown in the drama as part of a product placement advertisement, also known as PPL. 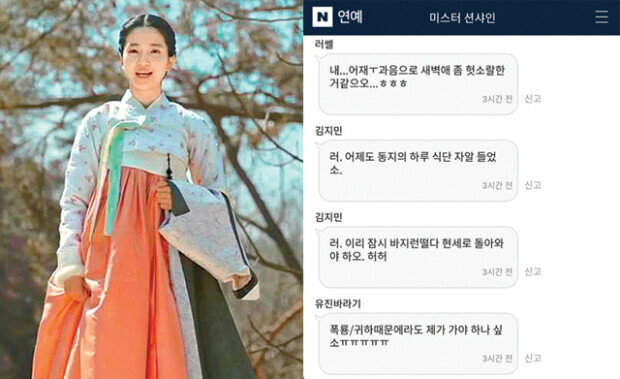 In fact, many people leave comments attesting to their first personal purchase of traditional Korean clothes. 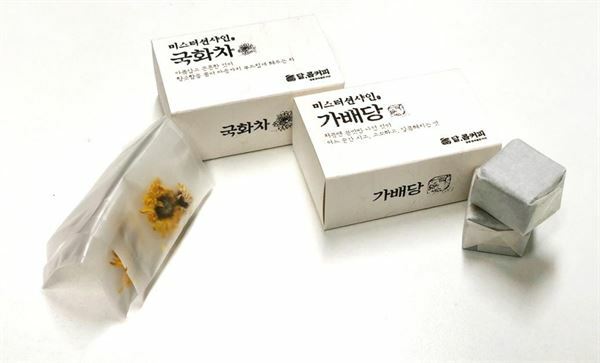 In an Internet community frequented by male consumers, tips are being shared on how to grow a beard like Kim Hui-sung, a male character played by Byun Yo-han in the show. 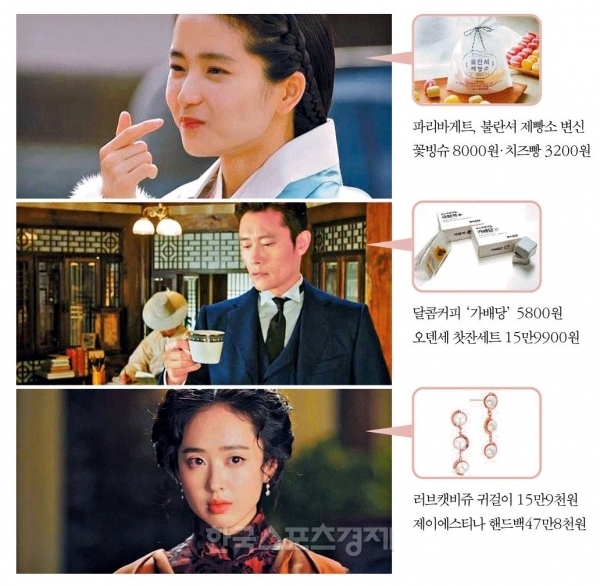 Auction, an online shopping mall in Korea, announced that the amount of sales of retro fashion and daily times, such as pearl necklaces and traditional purses, has soared as much as five times year-on-year. But product placement is never not noticeable. In fact, the beat that show takes when they are about to take a moment for their sponsors is very detectable. When Eugene Choi (Lee Byunghun) raises his Odense teacup in the middle of his quiet meditation looking out his window, he makes an observation that is out of character: “Is this style of teacup in fashion now?” Like, dude, you’re a former slave boy/orphan/Korean American military man. Since when do you give a richard simmons about trending chinaware? Let’s be real.